I'm torn. Pumpkin products and spooky decorations and lining the shelves, which warms my little-gothic heart, but at the same time I can feel summer slipping through my fingers! I'm not ready for fall sweaters yet! I'll be clinging to summer for as long as I can, and I've got 250 summer themed lollipops to help fuel my delusions. Okay, we've got a LOT of flavors to cover. So let me just say I love this bag design. The metallic blue is especially lovely in person, a nightmare to photograph, but that isn't an issue the rest of you would really deal with. The bag is pretty, now let's see how these new flavors taste! We're going from right to left, because that's how they list the flavors on the bag. Lemon Shake Up (translucent yellow) - Very creamy and lightly tart with a mild zestiness. This isn't so much a lemon shake up as it is a lemon meringue pie, but I'm not complaining! I love lemon meringue pie! Caramel Apple (translucent redish-brown) - I was actually expecting this one to be green, but thankfully it tastes pretty bright and flavorful. Very similar to those green apple and caramel pops made by Tootsie, but less tart, and more visually appealing. 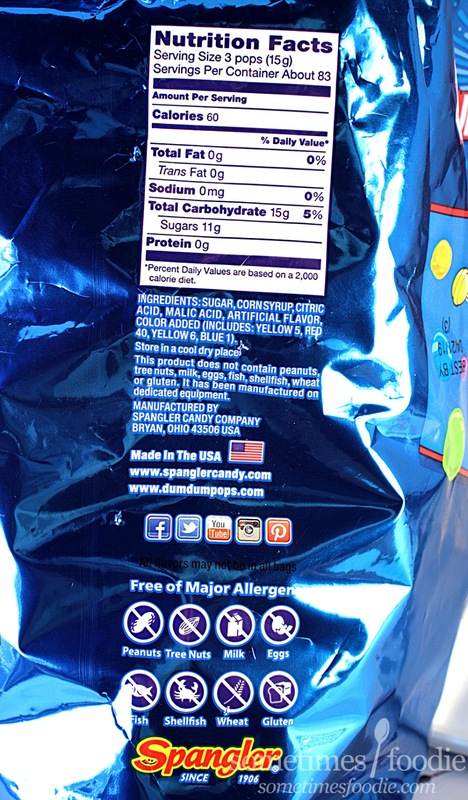 You get some bright artificial green apple flavoring mixed with a mellow Kraft caramel. Pretty nice and not overly fake of chemical-y. Cotton Candy (blue) - I think this is available in their usual mix, isn't it? It starts out generically sweet, but after a few seconds you get more of a spun sugar flavoring and eventually it becomes full blown Bubblicious Cotton Candy bubble gum. Sweet, floral, and pretty authentic although once and a while I get a slightly tangy flavor that seems a bit out of place. Peach Tea (orange) - It's like Snapple peach tea was turned into a candy. You get sweet sugary candied peach flavoring, like those 2-toned gummie candies with the sanding sugar, mixed with some sweetened black tea. It's a very sweet flavor, but I think it's perfect for summer. Funnel Cake (beige) - slightly creepy color. This flavor was the one I was most skeptical about. To me, this tastes like vanilla cake and cinnamon, kind of churro-like, which is surprising, but not bad. Just not funnel cake-like. If I were DumDums I'd re-market this as either Churro or Horchata. Then it'd be far more impressive. Banana Split (creamy yellow) - Tangy banana flavoring with a hint of cherry. It's a little too tangy for me, but not bad. Similar to unripe banana ice cream. Kind of a let down since banana splits are one of my favorites. Strawberry Milkshake (creamy hot pink) - This one is also a little tangier than I expected, but I like it. You get tangy strawberry and sweet cream. Kind of like Nesquik, or a milkshake made with artificial strawberry syrup. Not bad, much better than banana split. My top 3 (in no particular order): Peach Tea, Lemon Shake Up, & Funnel Cake. Tip: Mix Lemon Shake Up & Peach Tea for a Peachy Arnold Palmer. Another fun limited edition mix from DumDums. I'm really glad I picked this one up at Target. They're perfect for tossing into my purse for a sugary pick-me-up and they're only 20 calories each. Not bad, not bad. 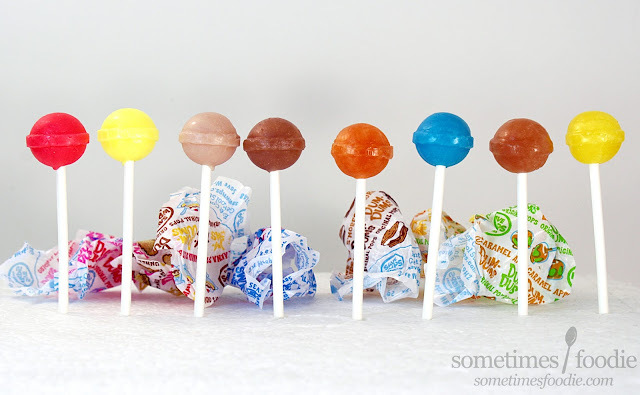 They also make great candy bowl treats at work and I've been adding a few of these summery lollipops as a free gift with each of my Etsy orders this summer. (Customers have been getting a kick out of the free candy.) 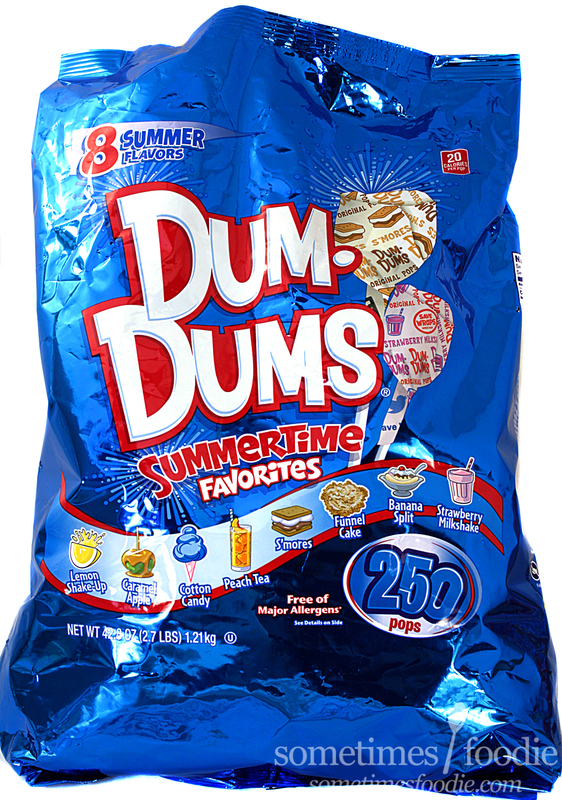 As long as DumDums keeps making new flavors, I'll keep checking them out. They have cute wrappers, interesting flavors, and they're the perfect little crunch-able candy portion. They could do a fall favorite: apple pie, pumpkin spice, cranberry, & mulled fruit punch (wine but kid friendly).